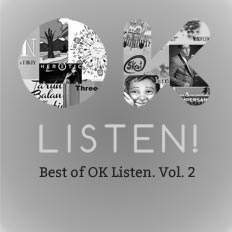 Neel and The Lightbulbs | OK Listen! When a light bulb gets turned on there’s clarity in the room. That’s exactly what happened when Neel, an Indie singer songwriter, jammed with Subhodip , Roheet and Avinash on the songs he’d been writing for the last few years. So they quickly recorded a few songs with a small audience in a house concert, which was shot by a few filmmaker friends of Neel’s. 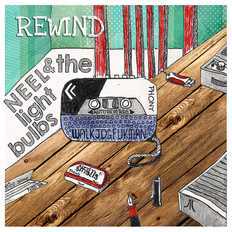 That video became quite popular with online audiences into indie acoustic lyrical music and the gigs started rolling in. 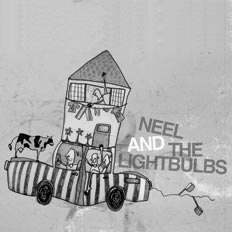 Neel and the lightbulbs was christened. Subhodip Banerjee- Guitars, vocals. The youngest member of the band. Currently also playing with his acoustic duo (Ifs and Buts) and Anupam Roy and award winning Bengali singer. Quirk champion. Roheet Mukherjee- Bass. EX Five little Indians. 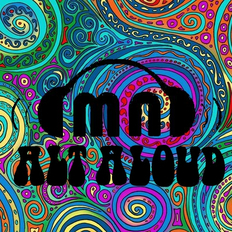 Played on the soundtrack of award winning controversial film ‘Gandu’. Currently playing with his other punk kitsch band Ganesh Talkies and Anupam Roy. Session king. Man of few but very important words. Avinash Chordia- Drums. The most wanted drummer in town. Currently also playing with The Saturday night Blues band and indie band ‘The Supersonics’. Ex- Krosswindz. Avinash is also a producer with the Delhi based content creation company ‘The Peninsula Studios’. The happy navigator . Neel Adhikari- Vocals, guitar. Ex- Span, Five Little Indians and Krosswindz. The songwriter in the band. Also Played guitar and sang backing vocals on the award winning controversial film ‘Gandu’. He’s currently scoring the music for ‘Tasher Desh’ (the same director- Q’s next film) along with his Indo -British music production outfit called MANA. Lost clumsy boy. The band mainly plays mainly original music but often does quirky cover versions of various American and British artists. The lyrics attempt to engage the crowd and create a situation where the lines between the crowd and the performers get blurred.